It's the Game of Thrones reunion special! Game of Thrones Season 8 is now underway, with an episode that brings us dragon riding, revelations, and above all else, reunions. Yes, the Season 8 premiere, simply titled Winterfell, goes extremely heavy on the character convergence. 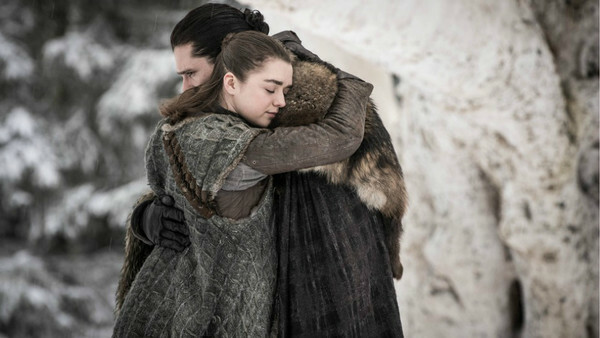 We've seen bits of this in recent years, such as Jon and Sansa in Season 6, and Sansa and Arya in Season 7, but Winterfell gives us so many characters all meeting together in the same place. Some of these have been just a season or two in the making, while others are ones fans of the show have been yearning for almost ever since the beginning. After years of close calls, near misses, and family members JUST missing each other, the final season can finally give us those sweet, sweet character reunions we've all been so desperate to see, and that's definitely the case with this one. Contains spoilers for Season 8 Episode 1.